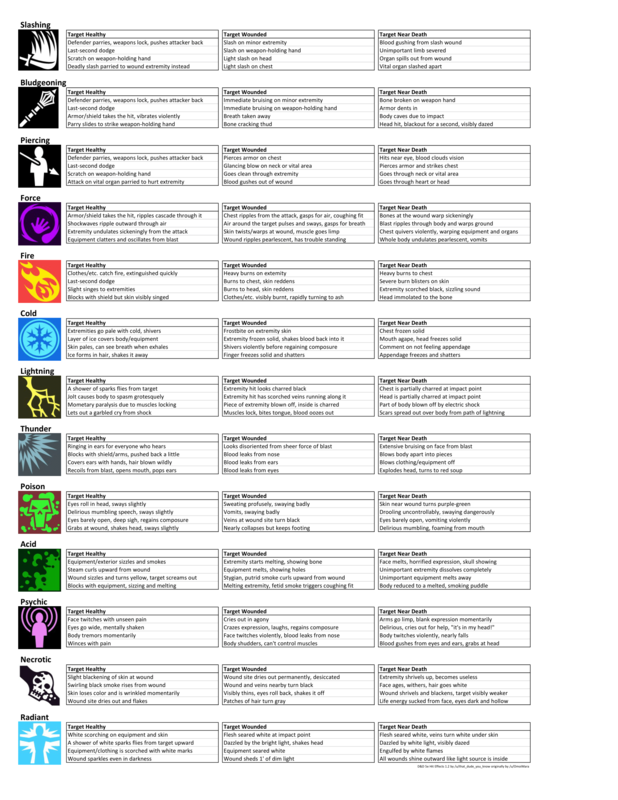 Mike Myler Do you have your OGLized content all presented someplace This brought it to mind " rogue (genius) 9/fighter (master of battle) "
... NPC and then discuss why and what we would do differently within the concept of the series (NPC made with PC rules using point-buy / standard array). This was pretty thoroughly reviewed with Conan I believe. EDIT: Mike usually jumps in and explains his choice and then we can discuss some more if you so desire. I think one thing he should address is why Str is so low. Also, the OP does say So the build is intended to be a NPC, not a PC, and there is no requirement in the 5e rules that a "real person" NPC follow PC build rules - eg NPCs have proficiency bonuses that follow their CR, not their PC level (insofar as that might be inferred by, say, spells useable). There's also a bigger question, also relating to your idea of "real person" - it's at least open to argument that if the ruleset can't model a hero like Odysseus then there is a weakness in the ruleset. Yes it is an NPC. But you can build an NPC with PC rules and I believe that it the concept of this series. Hopefully @Mike Myler will jump on here soon and clarify this one more time! Mike Myler Nethack YASD message Elric-T died on dungeon level 36 - dissolved by a puddle of dagon. Ok, that one is total insider and very much oldschool, it refers to Nethack, a derivate of the Unix Rogue computer game back from the 80s with a player exploring a dungeon and everything displayed was done with ASCCII symbols. When your character died game was over, using save files - other than for a break in the game - was considered cheating. It did remember when your character died, and there were awesome stupid causes of death in that game, and sometimes it would even create a ghost level with the remains of a past PC to encounter with your next one. YASD = Yet Another Stupid Death players would post these on a forum back then. Hiya! Mike Myler Sounds pretty sweet! :) I remember this "new guy" (Frank) got to write a new version of D&D. I was even a grognard then, with only about 3 or 4 years under my belt at the time (hey, at least I'm consistent :) ). When I saw the new Red Box D&D set, with the dragon, mound of treasure, and fighter? ...pure excitement! Upon reading the little "blurb" on the back ("As you whirl around, your sword ready, the huge red fire-breathing dragon swoops TOWARD you with a ROAR! "), I was hooked on this new version. :) Anyway, having just got the World of Greyhawk folio a year (?) before, I wanted more! I'm SUPER excited about this new campaign setting. :D Really looking forward to reading it and DM'ing in it. I'm on that Kickstarter like dust on a dwarf (or grime on a gnome, or twigs on an elf, or offal on an orc, ...you get the picture). A morning bump and some shout outs.... Last year's competitors that we haven't heard from: LucasC, Wik, MortalPlague, Nifft (who has been a judge) Some other former contestants we haven't heard from: Waylander the Slayer, Radiating Gnome (who has also been a judge), phoamslinger (who has also, also been a judge), UselessTriviaMan, EP, Mike Myler, Dragonwriter, Loonook, steeldragons, Lwaxy, Shoe, howandwhy99, ender_wiggin, FickleGM Again, with a plug, if you haven't done this before, we greatly encourage you to give it a go and throw your hat in the ring. You might be our 2016 Iron DM champion. But you won't know until you try. I think they seem pretty balanced. The only ability that really sticks out is Magical Harmony. It may be a bit of a dead ability early and a bit powerful after getting items, but as it's your race and your game I doubt it'd be an issue. Mike Myler has a good idea with the scent-based (maybe taste as it fits with the Poison resistance fluff?) Perception/Survival, especially as it works with the +1 Wisdom bump. 02:46 PM - Morrus mentioned Mike Myler in post Wanna N.O.W. Preview? 02:09 AM - Rune mentioned Mike Myler in post Scheduling for IRON DM 2013! Mike Myler and Dragonwriter, judgement for your match has been posted. 05:34 PM - Rune mentioned Mike Myler in post Scheduling for IRON DM 2013! Mike Myler and Dragonwriter, your match has begun. 05:16 PM - Rune mentioned Mike Myler in post Scheduling for IRON DM 2013! Mike Myler and Dragonwriter, if you are both good to go NOW, please confirm! 04:45 PM - Rune mentioned Mike Myler in post Scheduling for IRON DM 2013! Dragonwriter and Mike Myler, it looks like we can pull this off! Dragonwriter says that late Monday is a possibility. Would that work for you? 05:56 PM - Rune mentioned Mike Myler in post Scheduling for IRON DM 2013! Cool. Dragonwriter, you're in if we get another alternate or if either Mike Myler or Lwaxy are able to go sooner than anticipated. 03:44 AM - Rune mentioned Mike Myler in post Scheduling for IRON DM 2013! EP, Mike Myler, Lwaxy can any of you take on Radiating Gnome tomorrow (Sunday)? If so, please post a range of times you could go. 10:31 PM - Rune mentioned Mike Myler in post Scheduling for IRON DM 2013! I'm calling for check-ins on these 24-hour matches because I want to make sure that the contestants see the ingredients (and have time to do something with them.) 'Cause 24 hours can be hard. In your case, we (all three of us) kept missing each other by hours--and I didn't want to take the chance. For the next two matches, though, I'll call for a range of availability and narrow it down with the check-ins. ...Speaking of which: EP Mike Myler Lwaxy would any two of you like to start a match sometime between Wednesday and Sunday? If so, please post your availability--including a range of time that you could begin in. Done and done on the first two, but not so keen to legendary actions on a CR 5 creature. I suppose that unicorns and Yestabrod (?) have them and are low challenge rating enemies, but (and I'm guessing here for the latter) they're really intended to be encountered alone while Black Shuck is not. The tales typically speak of it being encountered alone. But that does give me an idea for a Legendary Action: when struck, it transposes itself with one of its pack. Sort of like the Goblin King power. Also EN5ider juuuuuuuuuust recently started doing new adventure content again in addition to the monthly ZEITGEIST piece, albeit smaller in scope Yay I liked the early adventures and ran a couple but not running Zeitgeist so the extra money/content has been wasted. Bit behind on EN5ider and have not downloaded the last 20 or 30 of them. As the editor for EN5ider I should mention that we pay 3 cents a word plus rights reversion after a year (and I loooove me that rights reversion <3). Yes, rights is a big thing to take into account. Virtually all of the work I've seen is "work for hire". However, if you can get the rights back and there is a market for what you've written, you can take "two bites of the cherry" and self-publish, and you need to take that into account. mike, how does your rights reversion work when someone has worked on an EN World property? I'm think specifically about your ZEITGEIST campaign setting? Every round a creature or vehicle is in the whirlpool, it must succeed on a DC 15 Strength (Athletics) or Dexterity (vehicle [water]) check. On a failure, a creature or vehicle is dragged 5 x 1d4 feet down into the water and 10 x 1d4 feet towards the center of the whirlpool. On a success, a creature or vehicle can move half its speed out of the area. I'd allow Strength to be used for the Water Vehicle check - think of the sailor straining against the tiller or rudder. Or even the oarsmen in a galley. It's not (indeed Mythological Figures uses OGL-ified versions of archetypes that are not OGL) but I'm about breaking that stuff out into the open, not to exonerate it by emulating it. If it's not setting something free then aye I keep it as OGL as possible! Hag covens are also in the MM. A hag gets extra spells by being in a coven per the MM. Hrmmm...none of the OGL hags have these things I think but I'd fall back on a monster from out of Mists of Akuma for greater weather effects. Hag covens and lair actions are Volo's things. I didn't realize this was limited to OGL. Backed! Also Andrew and his crew (Loot The Boss) have made *the best* Kickstarter video https://www.youtube.com/watch?v=md5TQDWR844 Thanks! I will have to check out the video at home (to noisy for the office), it certainly looks entertaining! That's what multi-headed monsters get in 5E! Which myth are you thinking of for him being charmed? Orpheus and the flute? I think in that one he puts Cerberus to sleep (which can still happen here it's just hard--you'd have to be some kind of legendary musician to pull that off ;) )I was thinking of Harry Potter, where everyone in Gryffindor - dozens of teens and pre-teens - all managed to pull off the same trick. The Weasley Twins went through at least twice, and neither of them had any notable musical talent. Harry references Orpheus by name. Very cool! I've got it in my head that somewhere down the line there'll be a Heracles/Hercules build (which needs to be able to handily defeat Cerberus) but if there's GM in need of a sizable underworld guardian this will definitely fit the bill (and would be an *excellent* addition to The River Styx). ^_^ Yep, I thought that might be an issue. Though I don't know that Herakles needs to "handily" defeat Cerberus. My archetype builds here have been very hit-or-miss so I resisted the urge (although that's definitely ripe territory). The totem you are looking for is tucked away into the last two bullet points of his Rage feature. Not bad choices either! I'd probably go after fighter levels first but if you do give him some rogue pick out a different 3rd level totem (because Cunning Action would make the eagle totem feature redundant). I would probably go tiger. If you look there's always somebody wanting Thor to have a natural Strength of 27 or whatever. There's usually something useful mentioned though (Tarzan's dad's knife for example!) so I've resisted the urge to include a RAW disclaimer just yet. A good point. Beastmaster was considered aye. From what I could recall though he's usually like, "hey buddy animal, can you do this thing for me?" and the animal is like "yeah I'll do that" as opposed to a commanding thing (the latter being decidedly more beastmaster). He gets a Lion cub to raise later on in his adventures and that lion features in a few adventures, but Beastmaster wouldn't help you unless you're re-fluffing Panthers anyway .Also they function as independents rarely if at all using the coordinated teamwork I'd expect from a Beastmaster. Better to just say he has a lion friend Jad-bal-ja so here is a lion statblock. Unfortunately I don't have time to read the library of Tarzan adventures and it's been a long time since I've ingested any of them--I do have a minute I can spend adding in a dagger! We're up to 30 heresies right now so let me know when we're reaching critical levels. I haven't read them in decades myself, but when I did, it was often. Not saying you shouldn't do this, just that a warning that they aren't going to be the way fans of the characters remember them might be in order. For rocking Grendel? Yes. I'm thinking Grendel's mother is more CR 16 though and not standard party fare. Oh yeah Grendel's mother was a Monster (pun intended). The totem you are looking for is tucked away into the last two bullet points of his Rage feature. Indeed it is! I’d love for him to do some more damage—unfortunately RAW the numbers just aren’t there for it unless you want to give him a greatsword (which improves things a bit to about CR 6) but that’s hardly cannon for Tarzan. I notice he's using a bow in one of those pictures. Could you do something with that? These Epic Monsters posts are getting a lot of play in Ravenloft ^_^ I also added the Dr. Jekel and Mr. Hyde... Dr. Ulbrek Jekzinkle owns an apothecary shop in The Village of Barovia... He is seeking rare/new materials to use in order to try and cure himself and no longer turn into Mr. Harkus.